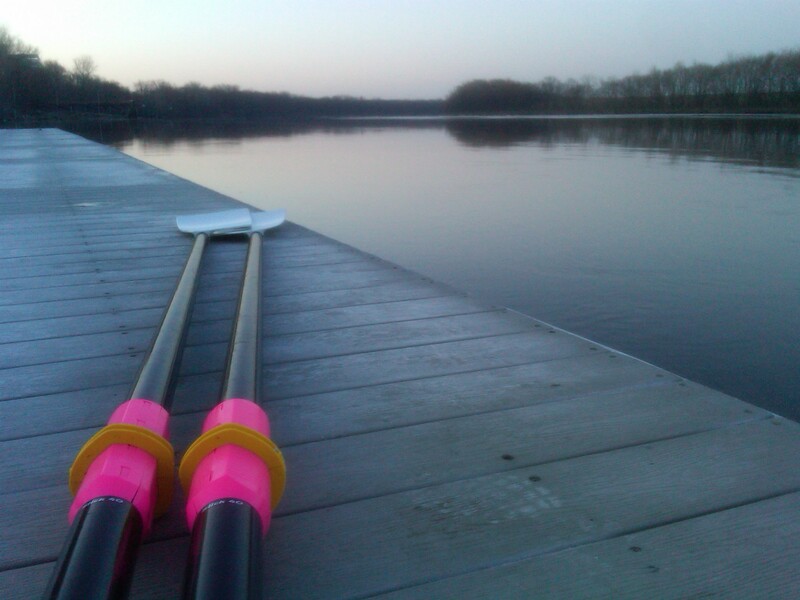 This morning marked the first row of the season on the Connecticut River. Freezing rain and six inches of snow are predicted to hit the Hartford area over the next couple of days. Brilliant. With the impending and inhibiting weather, I’m reminded to take every day on the water as a bonus right now. Hartford is proving to be a difficult place to be able to get some serious rowing time in. The Connecticut has a habit of flooding, on top of the snow and continuously turbulent weather that keeps training limited to dry land work well into the month of April. Regardless, this morning was a necessary break from the erg, and solid reminder of why I’m a helpless but happy prisoner to rowing. A PR in the 2K test this past weekend has me more eager than ever to get to work on the water. Training has picked up in volume and more intense strength training on top of increased hours at the office, so fatigue has been rearing its ugly head recently. The full-time job situation makes it difficult to allot adequate time to recovery and rest. If anything, rowing has taught me the importance of true recovery: Eat, hydrate, and resting are the essential actions to support successful training. So simple, yet sometimes so difficult to execute. Here’s to warmer weather and more mornings on the water.